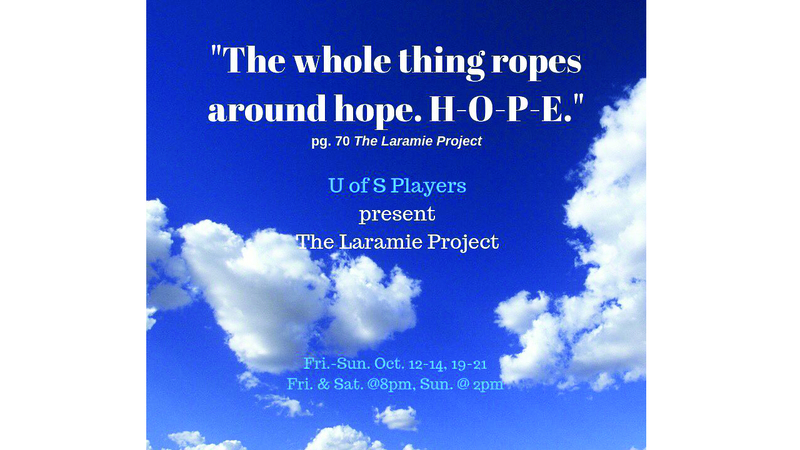 The University of Scranton Players will present "The Laramie Project" by Moises Kaufman and members of the Tectonic Theater Project, directed by Bob E. Gasper, Oct. 12-14 and 19-21. Performances run in the Royal Theatre in the Joseph M. McDade Center for Literary and Performing Arts. Friday and Saturday performances begin at 8 p.m., and Sunday shows begin at 2 p.m.
"The Laramie Project" recalls the aftermath of the brutal murder of 21-year-old college student Matthew Shepard through interviews of the residents of Laramie, Wyoming, conducted by the Tectonic Theatre Project. Shepard was beaten to death for being gay in the outskirts of Laramie. His death sparked outrage in communities across the nation and led to landmark hate crime legislation named in his honor. This year marks twenty years since Shepard's murder. The Players plan to honor his memory by opening their production on the day of his death. 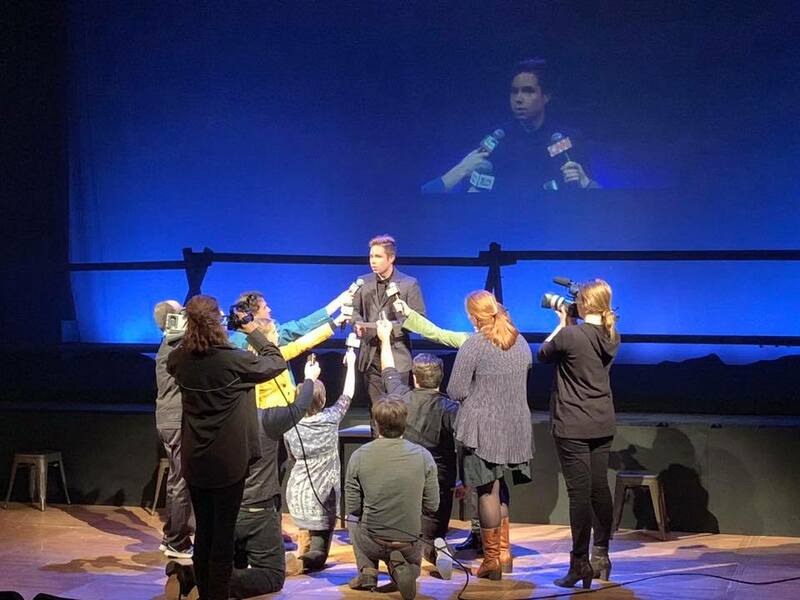 Additionally, the Players will host post-show discussions after both Saturday performances to offer an open space where people can explore and process Shepard?s story. For tickets, contact the Players box office at 570-941-4318 or visit us at thescrantonplayers.com. Tickets are $10 for adults and $7 for senior citizens, students, and University of Scranton faculty and staff. The second weekend is free for first-year students. 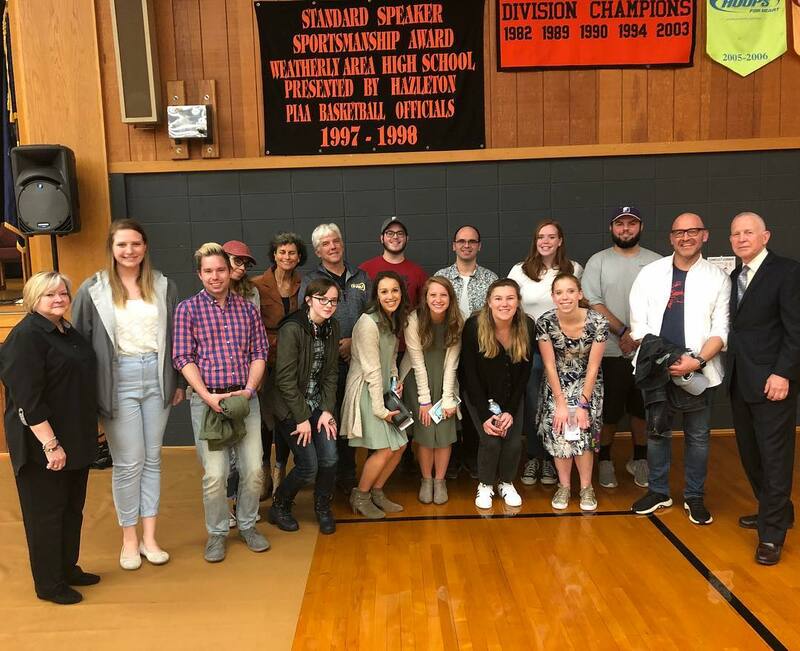 The cast and crew of The Laramie Project with Matthew Shepard's parents, Judy and Dennis Shepard, when they spoke about hate crime and their foundation in Weatherly.